Follow @mcphoo Tweet The holidays usually mean food, unusual eating, making body composition goals seemingly risk slipping further away. If achieving such goals has been important to you, or for someone you love, and a trial to date, a simple question may be, despite the difficulty of actioning what to do, do you feel firmly that you know how to achieve your body comp goals and/or how long that process will take? Or if you want to help someone undertaking this process, do you know how? Let me underscore the effect of mentorship/support/guidance was seen to have with folks trying to diet. Full disclosure: this survey described below was run by the folks at Precision Nutrition, but the results have been seen in other diet/change contexts. A few months ago we ran a survey of a sample of Precision Nutrition members. We asked them a number of different questions, some of which were to ascertain their level of fitness, some of which were to test their nutritional knowledge, and some of which were to determine their access to mentorship and social support. We wanted to know how much of an impact mentorship and social support actually have on a person’s ability to reach their physique goals. Extremely unhappy – I’m nowhere near my goal and I doubt I can make it. Unhappy – I’m far from my goal but I’m willing to do something about it. Ambivalent – I’m working toward my goal but I’ve got a ways to go. Happy – I’m close to my goal and making progress. Extremely Happy – I’ve achieved my goal and I’m working on maintenance now. We then looked only at the people who answered [5. Extremely Happy] in order to measure the impact of various factors on their success. What stood out immediately was the fact that there wasn’t a significant difference in nutritional knowledge between the people who had achieved their goals (the 5’s) and the people who were still working on it (the 3’s and 4’s). The people who achieved their goals knew their stuff (you have to, of course – success is not an accident), but so did many of the “in progress” people. In other words, you need to understand nutrition science – but it isn’t enough to get in great shape. Note: In this context, regular mentorship is defined as constructive and impartial feedback and direction, on a near-daily basis, for a continuous period of at least 3 months. DO you have the Support You'll Need? It may be that you may have a fabulous community or at least a few important people in your world who can provide great info and super support for your goals in nutrition. Way to go. THose people all need seasonal cards. For folks who either have willing folks but without the knowledge (or potentially not great knowledge beyond their own experience) or have great knowledge but lack support - may even be in an environment that will be somewhat resistant to change, well, there are programs that offer this. The one program i know of, and trust, and where as i posted yesterday you can see the kinds of real people results that occur, is Precision Nutritions. 6 months of coaching - en direct, from wherever you are right now, to get to where you want to go. Plus, beyond that regular personal coaching, there is a huge network of passionate people to support your success ( a place where i like to hang out, actually, because of the great expertise there - athletes, trainers, coaches, folks with doctorates in all areas of well being - and all incredibly nice. I can't get over this: folks are so NICE). Anyway, i hope if you know someone who you think might benefit from this approach, you might encourage them to put their name on the waiting list. Something just for your well being (or theirs) for the New Year. And you ARE worth it. 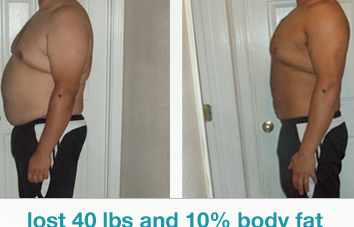 THis just isn't one of those 12 weeks is all it takes to change oh, everything, to get results type approaches. A six month/26 weeks space is realistic NOT just to get on some kind of diet, but to get one with the type of habit changes that may be needed to support building up practices that support progress. Really, its' so not about the food. Food is good and important, and we learn an awful lot about it with PN, but more than anything else the PN approach is about habits. We know how challenging it can be to change existing habits, especially about something as loaded as food. Which brings me back to support and coaching. Especially if you or someone you know has been yo-yo'ing around dieting with whatever approach, here's time to think about the fact there's nothing wrong with you; we are wired in certain ways with respect to food, and it takes effort and support and knowledge to rewire these habits. Changing habits isn't inate knowledge, either. Understanding this - that it's not us the eaters who are screwed up - is half the battle; getting knowledge but also the support and good guidance on retuning and building up knowledgeful habits for what will work FOR THE LONG TERM for us, is a key part of the other.